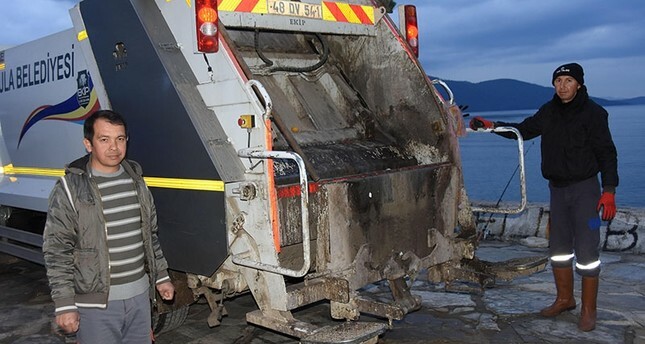 A village headman in Turkey's southwestern Muğla province has taken his public service to a new level, doubling as a neighborhood garbage collector at night. "What is important for me is the service my people receive," Feridun Özsoy, village headman of Akyaka neighborhood in the Ula district, told Doğan News Agency. Özsoy, 44, has served as village headman since his election on March 30, 2014. He started his career as a contract worker for the municipality, working for 18 years as a secretary to the city's mayors. "Everyone appreciates that I'm village headman by day, garbage truck driver by night," Özsoy said. "A lot of people are surprised [by it]." Özsoy says he is motivated by his neighborhood's historic and natural beauty, which he wants to preserve to pass on to future generations. "Akyaka is one of the few neighborhoods that protects Muğla's nature, architecture and culture. My aim is to contribute to the transfer of Akyaka's essence to future generations." Akyaka was declared a "Calm City" in June 2011 by the Italian foundation Cittaslow International designated, joining 13 other Turkish cities with that designation.